Tippet Rise Art Center is located in Fishtail, Montana, against the backdrop of the Beartooth Mountains, roughly midway between Billings and Bozeman and north of Yellowstone National Park. Set on a 12,000-acre working sheep and cattle ranch, Tippet Rise hosts classical chamber music and recitals and exhibits large-scale, outdoor sculptures. Tippet Rise celebrates the concept that art, music, architecture, and nature are inextricably linked in the human experience, each making the others more powerful. The art center features musical performance spaces indoors and out, with programs that seek to create memorable experiences for performers and audience members alike. Classical concerts are held on summer weekends in the Olivier Music Barn, or outdoors under the Domo. Bike, hike, or take a van tour led by the art center’s staff. Cathy and Peter Halstead have known each other since they were 16. 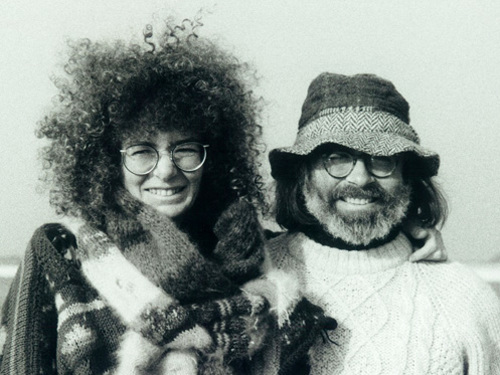 They both grew up in families that for generations have sought to bring art and education to communities both in the United States and abroad. They were later classmates at both Columbia and NYU. Cathy is an abstract painter, who has shown around the world. Peter is a pianist, photographer, and poet. He has published several volumes of poems and photos, and is working on a six-volume piano series, Pianist Lost, for The Adrian Brinkerhoff Foundation. Four volumes of his poetry are so far available : Sea Sun, Blinds, Poems of Earth, and A Selection. Cathy worked with her father in the liquor company he founded with her in 1972, and ultimately became President and Chairman. Cathy and Peter founded the Digital Lab in the Rockefeller library at Brown, where Cathy is a Member of the Corporation. Cathy is on the board of Rockefeller Philanthropy Advisors. She and Peter are trustees of the Sidney E. Frank Foundation, which makes over ninety grants annually to charities in the United States and England. Grantees include Storm King Art Center, The Juilliard School, San Diego Youth Symphony, The Curtis Institute of Music, the La Jolla Playhouse, Hawaii Opera Theater, and the Aspen and Vail Music Festivals. The foundation has helped fund films of the Glyndebourne version of La Traviata and Don Pasquale, as well as a film of Brian Bedford’s The Importance of Being Earnest on Broadway. In England, it has digitized the filmed repertoire of the National Theatre, the Royal Shakespeare Company, and Shakespeare’s Globe. It has digitized the repertoire of The Cleveland Orchestra, and helped fund a film about Patrick Dougherty, Stickworks. It has provided high-end audio equipment to the Aspen Music Festival and the Royal Shakespeare Theatre in Stratford-upon-Avon. It supports diverse efforts in Montana in the arts and education. Cathy and Peter were inspired to found Tippet Rise by the Storm King Art Center, Tickon Sculpture Park in Denmark, la fondation Maeght in St.-Paul-de-Vence, Snape Maltings in England, and by the Vail and Aspen Music Festivals. Pianist Pedja Muzijevic has defined his career with creative programming, unusual combinations of new and old music, and lasting collaborations with artists and ensembles. Pedja’s symphonic engagements include performances with the Atlanta Symphony, Dresden Philharmonic, Milwaukee Symphony, New Jersey Symphony, Orquesta Sinfonica in Montevideo, Residentie Orkest in The Hague, St. Paul Chamber Orchestra, Santa Fe Pro Musica, Shinsei Nihon Orchestra in Tokyo, and Zagreb Philharmonic. 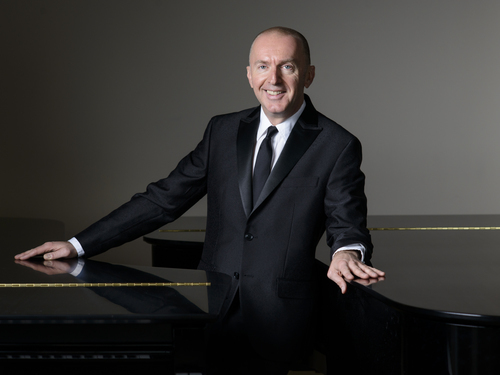 He has played solo recitals at Alice Tully Hall in New York, Mostly Mozart Festival Little Night Music series, 92Y and The Frick Collection in New York, Irving S. Gilmore International Keyboard Festival in Kalamazoo, MI, Terrace Theater at Kennedy Center, Dumbarton Oaks, Phillips Collection and National Gallery in Washington, DC, Casals Hall and Bunka Kaikan in Tokyo, Teatro Municipal in Santiago de Chile, Da Camera of Houston, for Arizona Friends of Chamber Music in Tucson, Lane Series at University of Vermont, Spoleto USA, Verbier, Bay Chamber Concerts, Aldeburgh Festival in Great Britain, and many others. His Carnegie Hall concerto debut playing Mozart Concerto K. 503 with Oberlin Symphony and Robert Spano was recorded live and has been released on the Oberlin Music label. Pedja’s festival appearances include Lincoln Center’s Mostly Mozart Festival in New York, Spoleto Festival USA in Charleston, Tippet Rise Arts Center, Holland, Melbourne, Lucerne festivals, Bravo! Vail, and many others. Pedja is the artistic administrator at Baryshnikov Arts Center in New York, artistic advisor to Tippet Rise Arts Center in Montana. He is on the faculty of Citizen Artist Project at the Verbier Festival Academy and he also directs a residency at the Banff Centre in Canada called Concert in 21st Century. In all these roles he looks at the concert experience, both in programming and presentation and questions what can we do to make it more relevant today. He lives in New York City and, in his free time, he enjoys cooking for friends and seeing performances in all disciplines. Lindsey assists in leading Tippet Rise, alongside her husband, Pete. She keeps the art center’s logistics humming smoothly, oversees public relations, and is instrumental to our planning and development. Lindsey coordinates with artists, architects, and musicians, community members and educators, from kindergarten teachers to university deans, as well as leaders from regional and national cultural institutions, welcoming everyone into the Tippet Rise family. In short, Lindsey helps to bring the Tippet Rise vision of nature, music, and art intertwined to full, blooming life — an experience she hopes to share with her Montana friends and people from all over the world. She and Pete live in Red Lodge with their baby girl. A lifelong pursuit of adventure in the mountains led Pete to Tippet Rise where he draws on his experiences to make the organization’s vision a reality. Intrigued by the exploration of art and nature, Pete’s role at Tippet Rise is an adventure in itself. Often working in tandem with his wife, Lindsey, Pete provides team leadership, oversees the art center’s operations, planning, and development, and coordinates the installation of its sculptures. When he isn’t orchestrating Tippet Rise’s many facets, Pete enjoys life with Lindsey and their baby girl, all the better if it’s outside beneath Montana’s big, beautiful sky. Ben oversees ranching operations at Tippet Rise. From May to mid-November, this work includes grazing oversight of 200 to 300 calf-cow pairs, 100 to 120 heifers and 2,000 to 2,600 head of sheep. 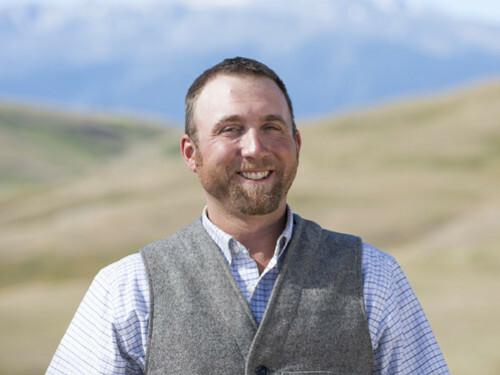 He works year-round to improve Tippet Rise’s rangeland health as well as its water use and conservation practices. Through these efforts, Ben endeavors to make Tippet Rise an increasingly healthy and viable ranchland, wildlife habitat and treasured piece of the Montana landscape. In the process, he hopes the art center’s guests can enjoy and experience Montana’s rich ranching heritage. For the past ten years, Ben has lived with his family on or next to what is now Tippet Rise. From the moment a guest first learns of Tippet Rise to the time they exit the art center’s gates, Melissa helps facilitate their experience from beginning to end. With a background in theater and hospitality, she oversees communication and administration at the art center. From managing the Tippet Rise website and social media accounts to orchestrating event planning and ticketing, her contributions are indispensable to day-to-day operations and to her colleagues at the art center. Melissa lives in Red Lodge with her husband and two young daughters. With a background in fine art and education, Beth has taught kindergarten through 12th grade, as well as at the college level, running art workshops, teaching classes, and giving tours. She earned a BFA from the University of Wyoming and an MFA from the University of Montana and is a professional artist herself. 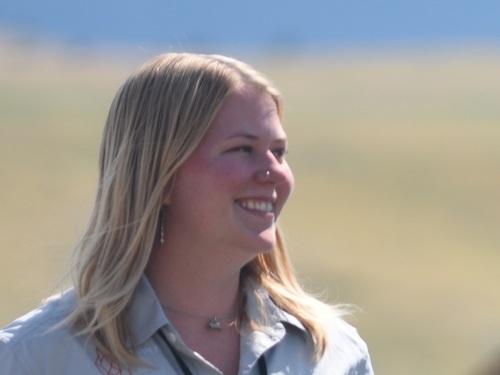 Beth began working at Tippet Rise as an intern during the inaugural season. Today, she manages the visitor center and oversees our art education programs, which focus on art, music, architecture, and conservation through hands-on workshops for all ages. Born to a pianist mother and raised in the US, England and Greece, Lexy grew up surrounded by music: from the Haydn, Bach and Chopin her mother practiced each morning to Greek Rebetiko, bossa nova, and the American folk songs of the 1960s and ‘70s. A longtime freelance writer, her work has been published by Oxford University Press, The Boston Globe, The Washington Post, National Geographic Traveler, Scientific American and other publications. 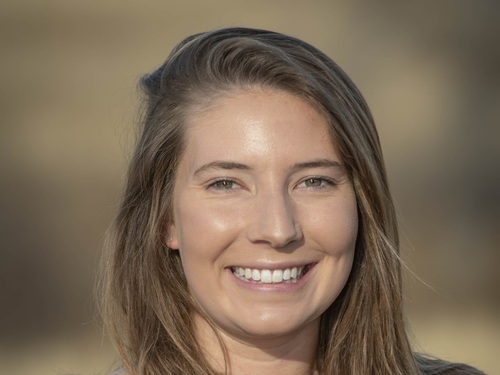 At Tippet Rise, Lexy writes and edits content for the art center’s publications and website, and she assists with our public relations efforts. Although she often works alone and behind the scenes, Lexy’s favorite days are spent working alongside her colleagues at the art center, helping guests, and marveling at the extraordinary acoustics of the Olivier Music Barn. 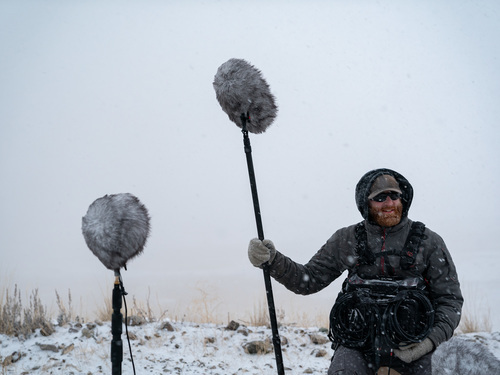 Monte maintains the Olivier Music Barn’s state-of-the-art audio-video systems and supervises all audio recordings of performances at Tippet Rise, which he masters in ultra-high-fidelity formats and in 9.1 surround-sound. With a Bachelor’s degree in Audio Production from Webster University in St Louis, his background also includes recording the St. Louis Symphony’s performances for several years. But Monte not only records performances, he also performs: on the trumpet, which he has played since childhood. 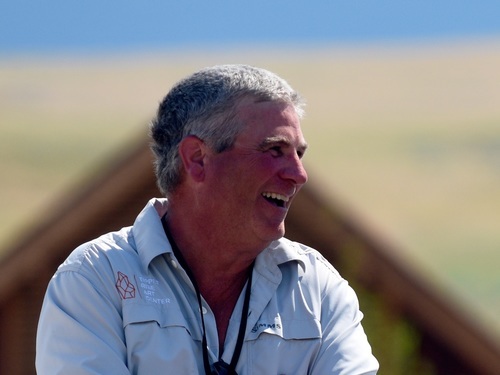 Carl has served as interpretive ranger at Tippet Rise since the inaugural season, patrolling the art center’s 12,000 acres by mountain bike and providing insight and guidance to our guests as they explore our trail system on foot and by bike. He also serves as events crew, assisting with the setup and breakdown of concerts. When not working as a ranger or on the events crew, Carl helps to complete a wide variety of projects, and assists with the coordination of new building endeavors. Originally from the great state of Maine, Carl has a degree in Biology from Saint Lawrence University in upstate New York. Jenny began her journey at Tippet Rise as an interpretive ranger and member of the events crew during the art center’s inaugural season. From setting up concerts at the Domo to taking guests on sculpture tours or helping those who are hiking and biking the art center’s trails, she utilizes her passion to try to create unforgettable guest experiences. Jenny’s position at Tippet Rise also requires her to assist in a variety of administrative duties. 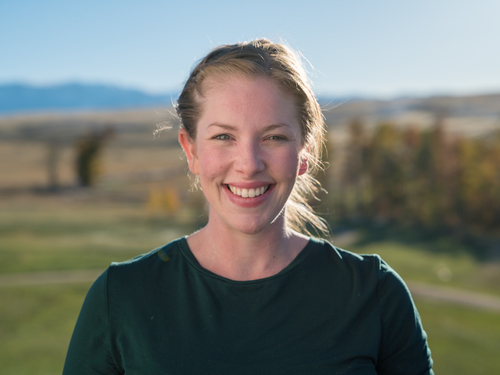 When she’s not giving tours, maintaining trails, or riding with cyclists out on the land, Jenny enjoys spending her time hiking and fishing in the Beartooth Mountains. 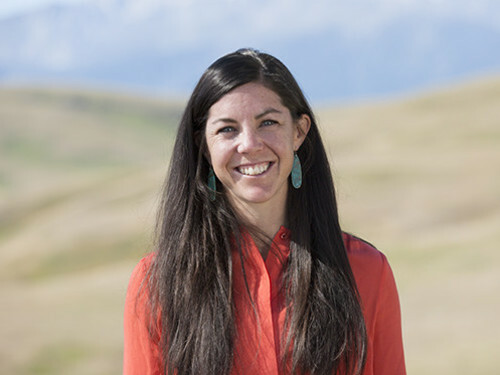 With a degree in Environmental Studies from St. Lawrence University, she loves sharing the connections between art, music, and the beautiful Montana environment with the art center’s visitors. 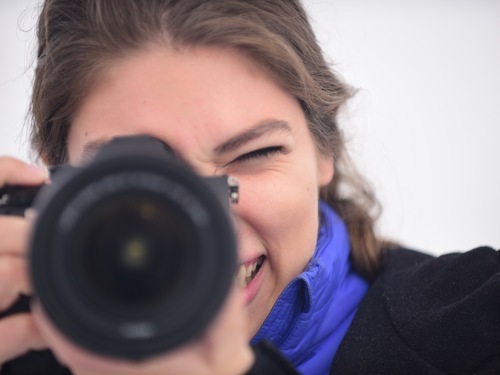 Emily works at our art center year-round to document events and the landscape. She edits and produces photographs as well as documentary, performance and concert films. She works with musicians, actors and artists, and assists visiting filmmakers by coordinating logistics and taking part in varying production roles. Emily is passionate about the creative process and its avenue to experiment, advocate, and share stories. Her personal work crosses between the arts and sciences, including documentary work on invisible illnesses, stop-motion animation, and encouraging environmental preservation. Emily graduated from Virginia Commonwealth University’s School of the Arts with degrees in Photography and Film, with a concentration in Film, and Kinetic Imaging. Music in unique sonic spaces, sculpture and architecture in stunning landscapes, storytelling, delivering intriguing programs, and being part of a forward-thinking team are passions of Zachary Patten. 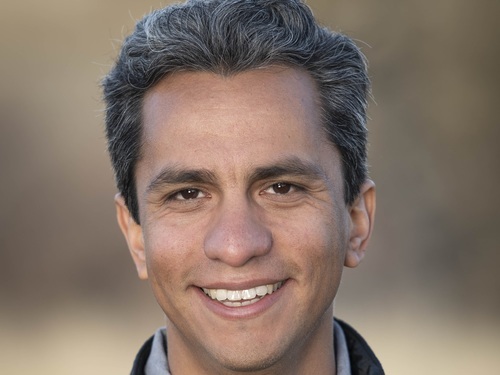 In his professional career, he has served as Library Manager, Production Manager, and Manager of Operations & Performance for several outstanding arts organizations, most notably the Orchestra of St. Luke’s, Musica Sacra, Aspen Music Festival, Mostly Modern Festival, and Boulder Bach Festival. 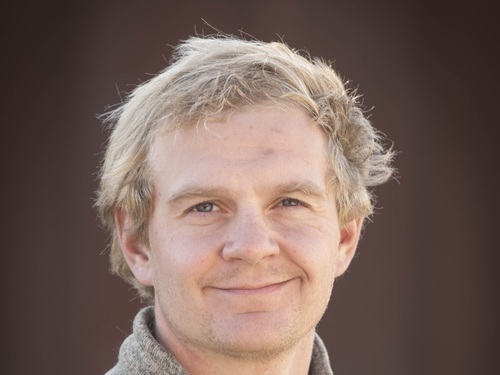 At Tippet Rise, he is Production Coordinator and podcast creator. Zachary is also finishing his D.M.A. Composition from CU Boulder; his art focuses on designing and building instruments and working with individual performers to create music that is patient, immersive, new, and nostalgic. 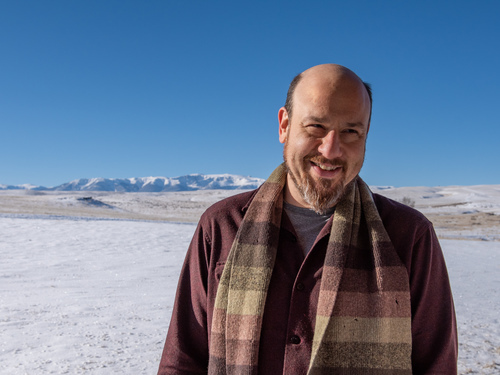 With a Master’s degree in Architecture from the University of Texas at San Antonio and a Bachelor’s degree in Studio Art from Knox College, Chris brings a wonderfully apt blend of insights and skills to Tippet Rise where he manages and maintains the art center’s grounds, buildings and mechanical systems. His nimble orchestration of our state-of-the-art heating and cooling systems helps to keep the pianos of Tippet Rise, and the many instruments that accompany our visiting artists, in fine shape. Chris helped shepherd the art center through the process of receiving LEED certification for the Olivier Music Barn and is continually looking to improve the building’s operational and energy efficiency. Before moving to Montana, he spent ten years with the National Park Service working in Facility Management and Cultural Resources. Jim assists in all phases of audio production process at the art center and helps manage the cutting edge technology systems behind the scenes. 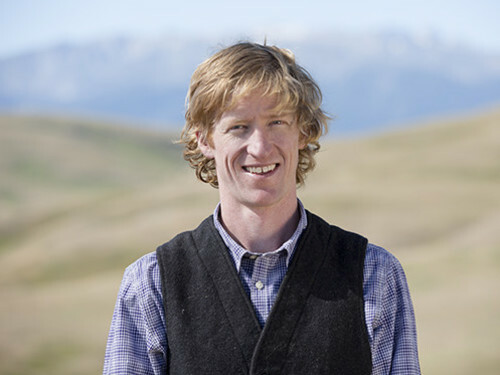 His mission is to support the Tippet Rise vision by capturing the powerful musical moments with an exceptional level of faithfulness, spatial realism, and clarity. With more than 25 years in the music industry as an engineer, producer, performer, and technical systems engineer, Jim brings leadership, creativity, and rigor to his work, and balances the highly technical tasks the A/V team faces daily with a sense of playfulness. Jim splits his time between the art center and his home in Colorado, where he’s a busy musician and audio engineer, and also enjoys the outdoors and writing music. Tippet Rise Art Center is located in Fishtail, Montana, against the backdrop of the Beartooth Mountains. Set on a 12,000-acre working sheep and cattle ranch, the art center hosts classical chamber music and recitals and exhibits large-scale, outdoor sculptures. Tippet Rise celebrates the concept that art, music, architecture, and nature are inextricably linked in the human experience, each making the others more powerful. Working, volunteering, and interning at Tippet Rise promises rich, rewarding experiences within the realm of an extraordinary contemporary arts organization.